We had a lovely time at Salisbury Cathedral Leavers Day. We took part in drama and art workshops and performed a production inside the cathedral with 280 other school children! Our final day was spent shopping for gifts and ice cream in the morning and absieling down a 15 metre cliff in the afternoon! The children showed tremendous bravery as they tackled the challenge with positivity and support for each other. They should be very proud of what they have achieved this week. After another peaceful night's sleep and a big breakfast, the children have had a fantastic day climbing and kayaking. During climbing, the children learnt to trust each other with their ropes and showed fantastic support towards each other as they climbed the outdoot tower higher and higher! This afternoon, they donned their wetsuits again to take to the sea in kayaks. It has been lovely to see such huge smiles on their faces all week. "Climbing was such a fun experience." Let's hope the fun continues tomorrow on our final day. The grown ups were all really pleased that all of the children were fast asleep last night by 10:30pm and we didn't hear a peep from them until this morning. All of the sea air, evening beach games and physical activity sent them into a peaceful slumber! The children had a great morning creating sand sculptures on the beach. This afternoon, they climbed 'Mount Chesil', explored the sculpture park on Portland and enjoyed a fantastic view of Chesil Beach from up high! The children are all getting dressed up, ready for their three-course-meal at Prezzo! The children have had a fantastic first day in Weymouth. We enjoyed a very hot picnic on the beach before heading to Portland to enjoy an afternoon of coasteering. The children showed fantastic bravery, teamwork and enthusiasm as they jumped off rocks then swam through caves and along the coastline. Now it's time for fish and chips! Our PE sessions are changing to Tuesdays and Wednesdays. Please ensure you always have indoor and outdoor kit in school on these days! The Dictionary and Stick Man thoroughly enjoyed world book day! Year 6 delivered an excellent World Book Day assembly in front of the whole school! There were some amazing costumes in Year 6. We were very impressed that Lucas came as Stanley - the main character in our class book, Holes! We've been learning about pie charts in maths. We have been constructing them in many ways: using fractions puzzles and using compass and protractors. We enjoyed our visit up to Shaftesbury School to listen to a talk from author Mimi Thebo. She told us all about her life as an author and about the inspiration for her books. She also told us how reading makes us more empathetic. She signed books for us, including two for our class bookshelves. Thank you to all parents and carers who picked up and sorry we were a bit late finishing. 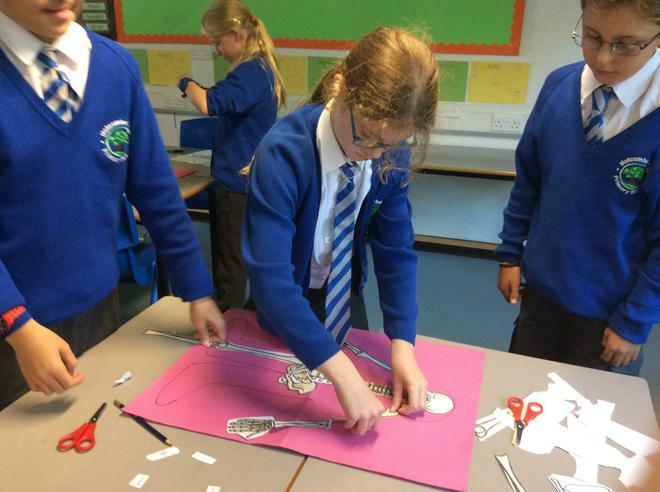 We have been looking at different scientists and philosophers and the way in which beliefs have changed about evolution. We lined up in date order. In Maths, we have been learning to use all four quadrants in a coordinates grid. We used grid references and directional language to direct each other around a giant 'Holes' themed grid in the classroom. We love having fun in Maths! For national 'Safer Internet Day', we worked in groups to decide what is and is not appropraite to post online. We thought about our safety and the impression we would like to give of ourselves online. We also spoke about how what we post when we are young might affect our employment or university prospects when we are older! We have been learning how to debate and how to turn our debating skills into discussion texts. The main character in our class text 'Holes' gets arrested. This got us debating; should children who break the law go to prison? We have been learning about ratio and volume in maths recently. Ask us to teach you how to simplify a ratio and how to calculate the volume of a cuboid! We enjoyed our class assembly today and hope all the parents and carers who were able to attend did too. 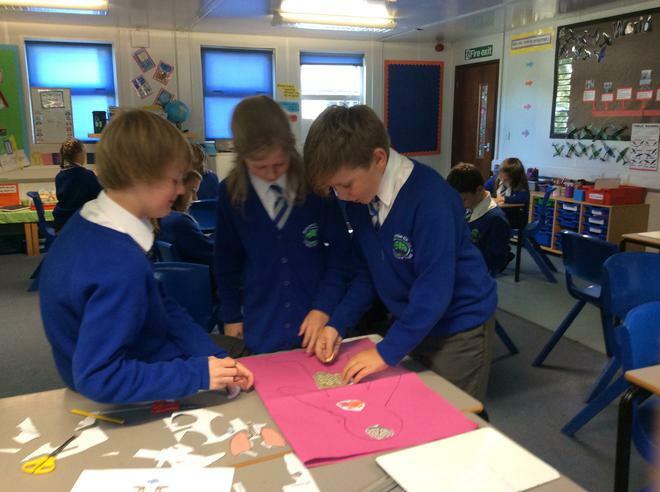 We shared what we have learned about WW2 during the Autumn Term and quizzed the adults and year 5, who did very well! We finished off in style with a dance. We had a great first football skills session with John today. In Science this term we are looking at light and shadows. We made our periscopes so we can see around corners! Class-specific behaviour document. What do we have the right to? What do we have the responsibility to do? What happens when we make good choices? What happens when we make poor choices? Thank you to everyone who came to our Christmas Performance at the Church. Miss Kendrick and Mrs Day wish all the Owls and their families and friends a very Merry Christmas! We have been looking at perimeter and area of shapes in Maths recently. 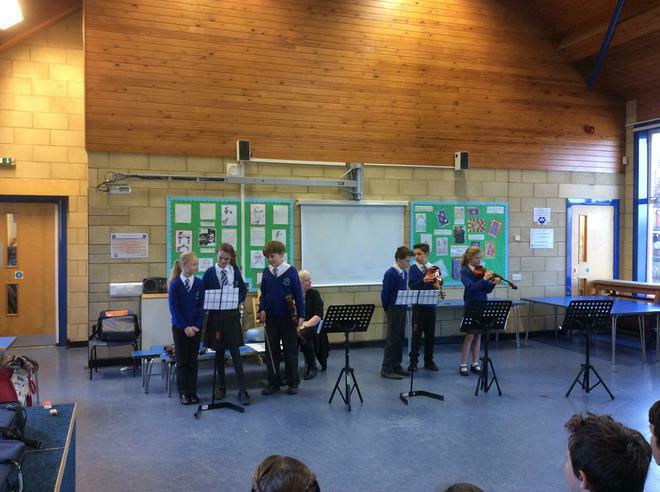 Recently we have been treated to a violin concert by six members of Owls class and their teacher Mrs Middleton. Family and friends attended and we were all impressed with the progress that they had made. 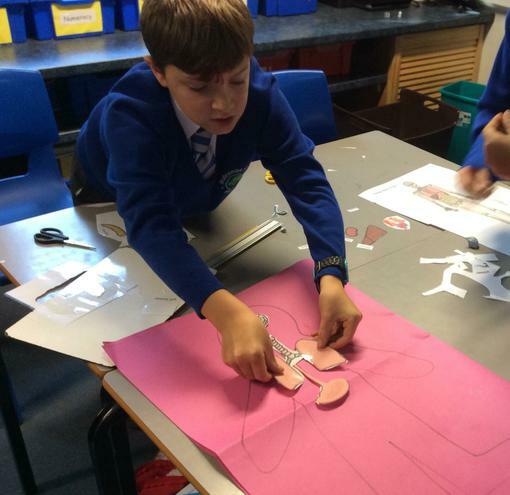 On Friday we spent our Science lesson investigating how the digestive system works. 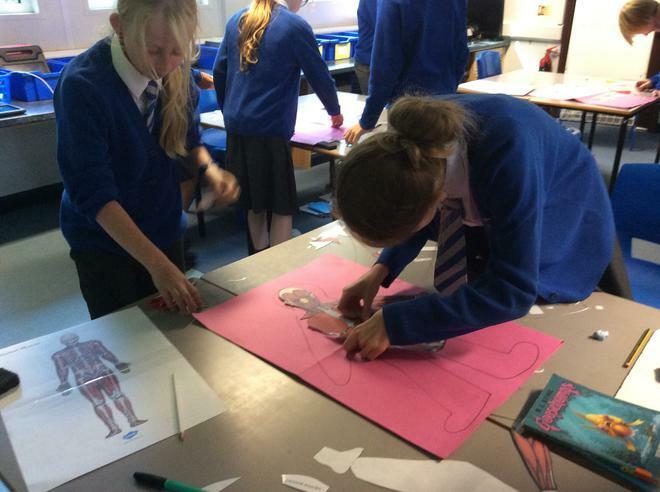 We used a plastic bag as a stomach to mix our food up, adding water for saliva and orange juice for stomach acid, a pair of tights as the small intestine to remove liquid, and a coffee cup as the large intestine to create a lovely end result! Tag Rugby Tournament Wednesday 15th November. Year 6 performed brilliantly at the Tag Rugby Tournament at Shaftesbury Primary School. 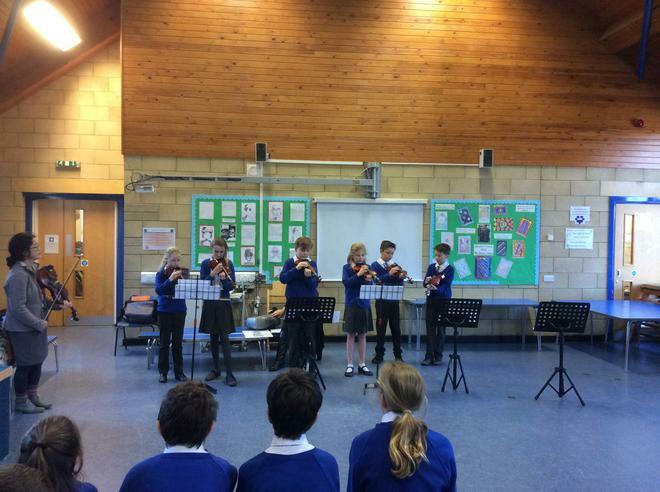 We split in to two teams and played Shaftesbury A and B team and a team from Chilmark Primary School. Both of our teams played fantastically, developing our skills in passing, tagging and scoring tries. We won two games, drew two games and lost one game. 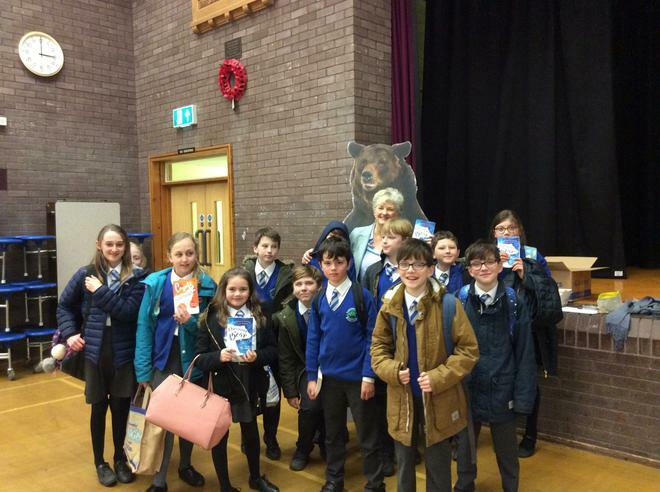 It was also really nice to meet children from other schools and they were all really friendly - which was great during Friendship week! Mrs Day and Miss Kendrick would like to thank the parents and carers who helped transport the children up to and from the tournament. We had a visit from two vehicles that were manufactured and used during World War 2! Thank you so much to Meme's dad for organising this exciting experience! We got to dress up and sit in a jeep and an ambulance. We asked lots of insightful questions and loved pretending to drive! Miss Kendrick and Mrs Day are very proud of the progress being made in Writing by Year 6 children. The pictures below show examples of the improvement made by just two of our hard-working pupils in less than a month. The writing on the left in each picture was completed in September. The page on the right of each picture was completed in October. Well down Owls. Don't forget to keep including Year 6 writing features such as semi-colons and a range of clause structures so that the content is just as good as the presentation! Spellodrome Please continue to use spellodrome at home to ensure that our spellings improve as rapidly as our handwriting and punctuation has. Click here to go directly to the website, use your login and start playing spelling games! During the Harvest Festival in church we performed a dance full of energy and autumn colours! Sophie brought a World War 2 bomb into school! Don't worry it had been defused already! We have been excellent role models to our buddies so far this term! 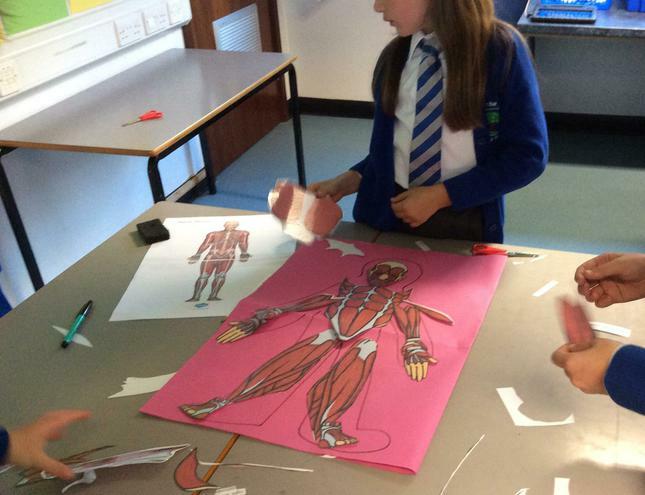 We have been learning about internal and external body parts in Science.